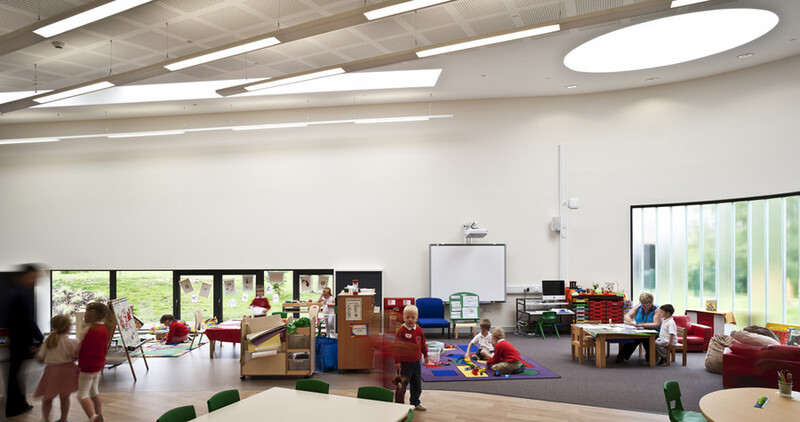 jmarchitects extension to Woodlands Primary School and Early Years nursery features 3 new flexible primary school classrooms with a shared activity area and an independent large open plan nursery school. 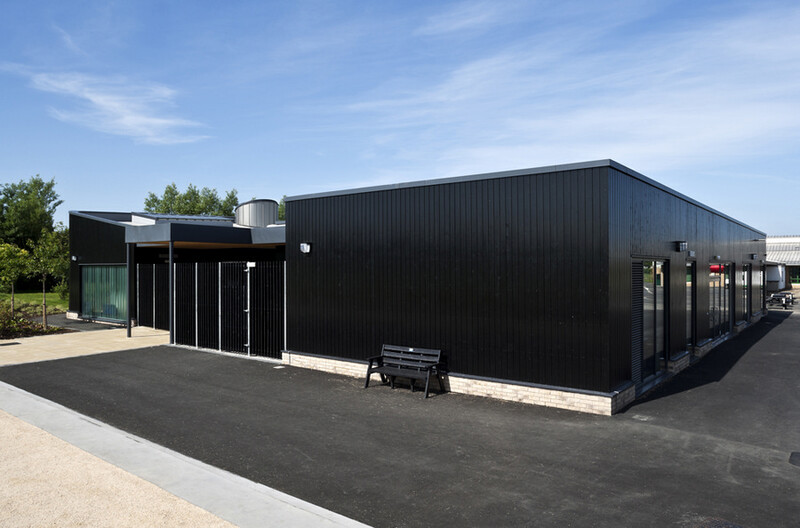 Clad in black stained timber, the extension was conceived as a visually strong book-end to the existing 1990’s single storey school building. 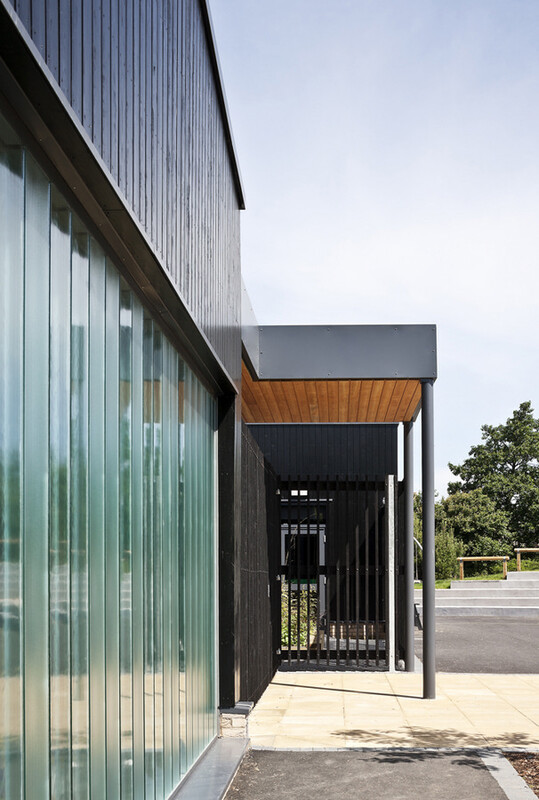 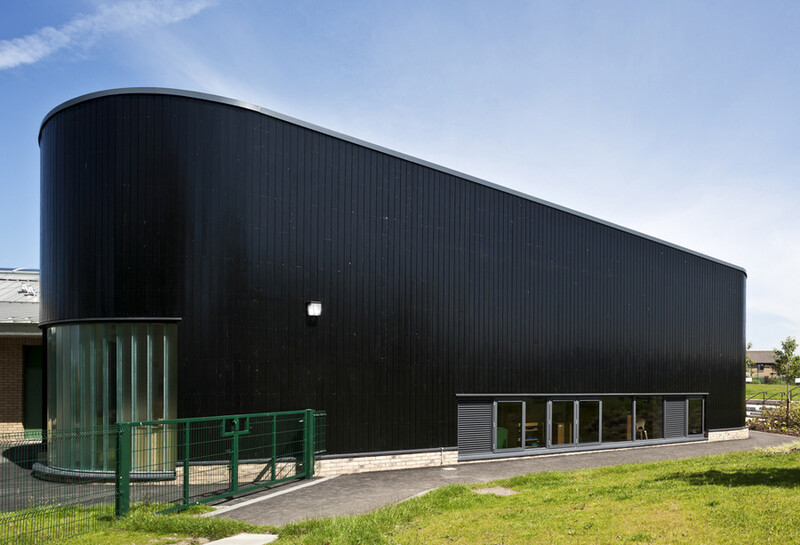 The inwardly-sloping roof planes and vertical black timber cladding juxtapose the geometries of the existing school. 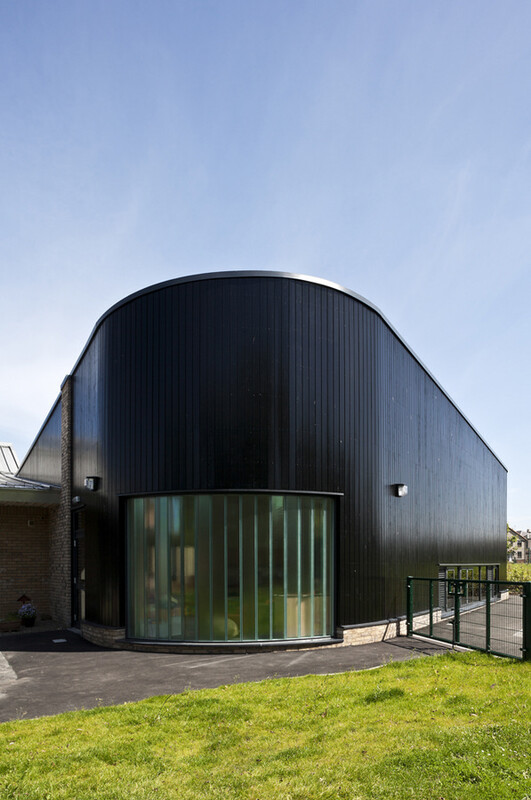 The sharp rectilinear form of the primary school extension contrasts with the curved nursery element, creating clear identities for the two but unified by same material palette. 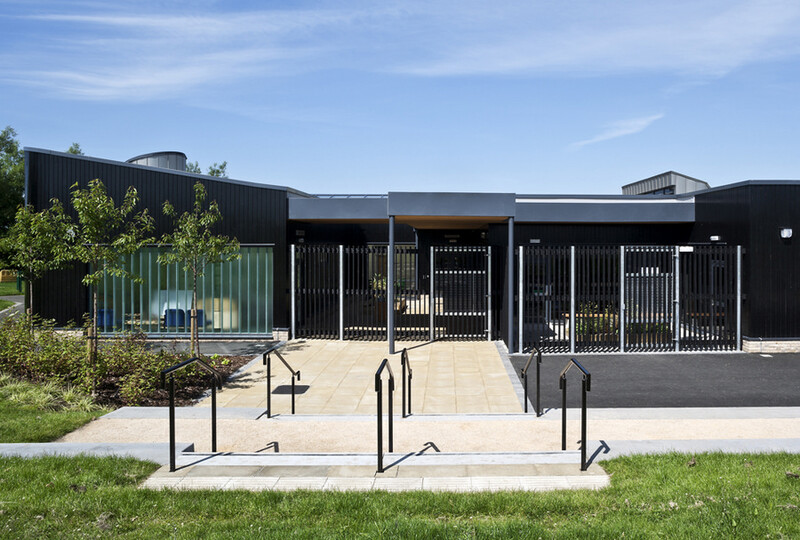 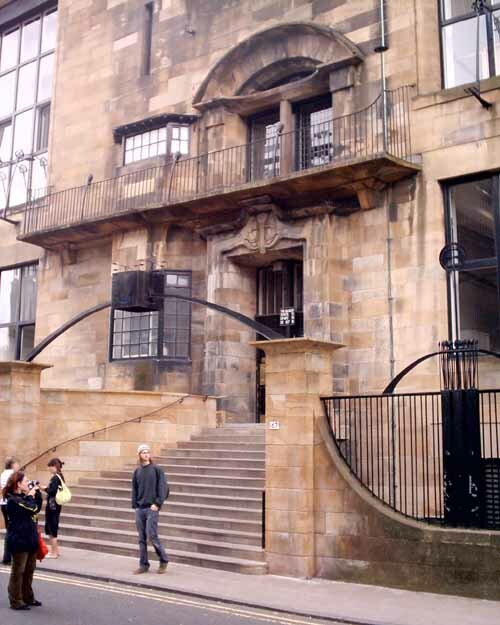 Through a secure, covered external courtyard, the main entrance to the nursery can be accessed. 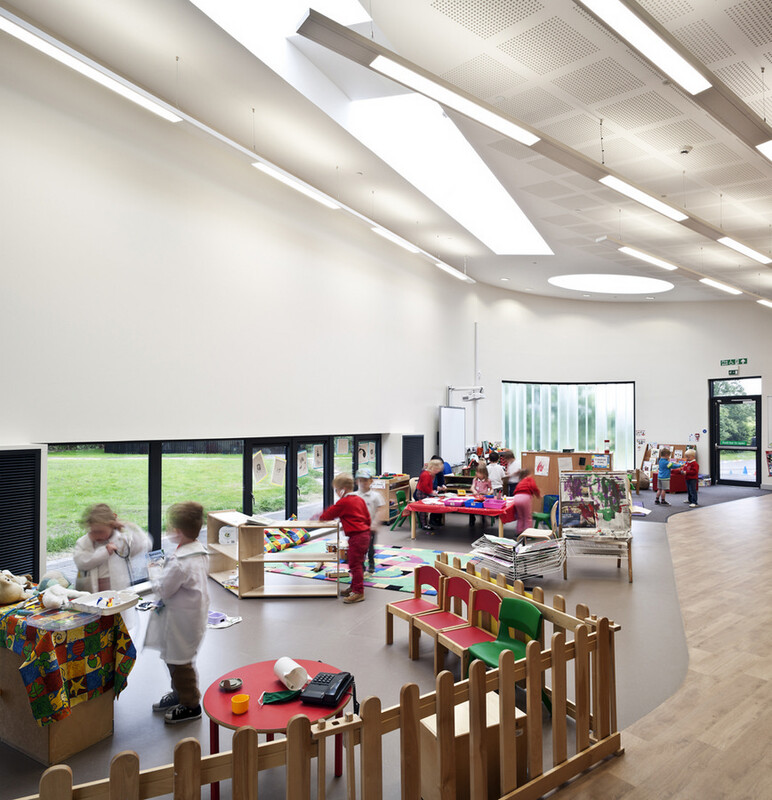 Internally the focal points of the nursery space are a long, low, child-height window giving clear views out to the landscape and large rooflights above, flooding the room with natural light. 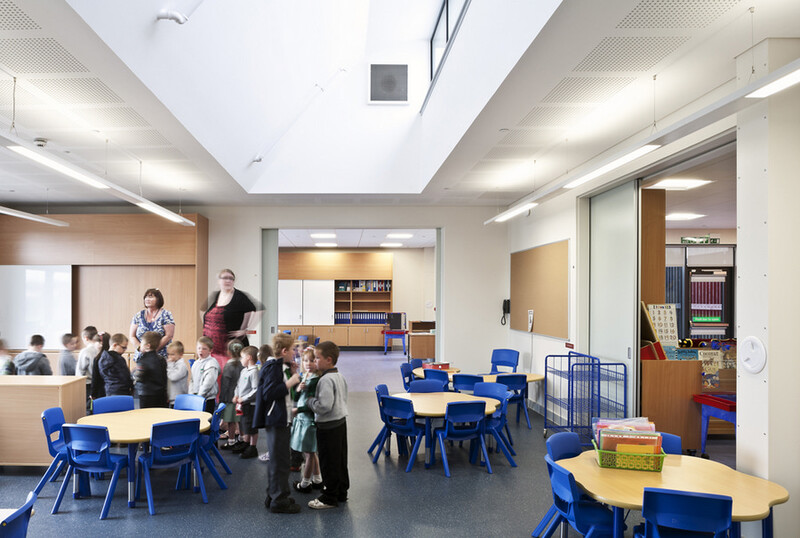 The primary classrooms each open into a central activity space through large sliding screens which allow great flexibility for various teaching requirements. 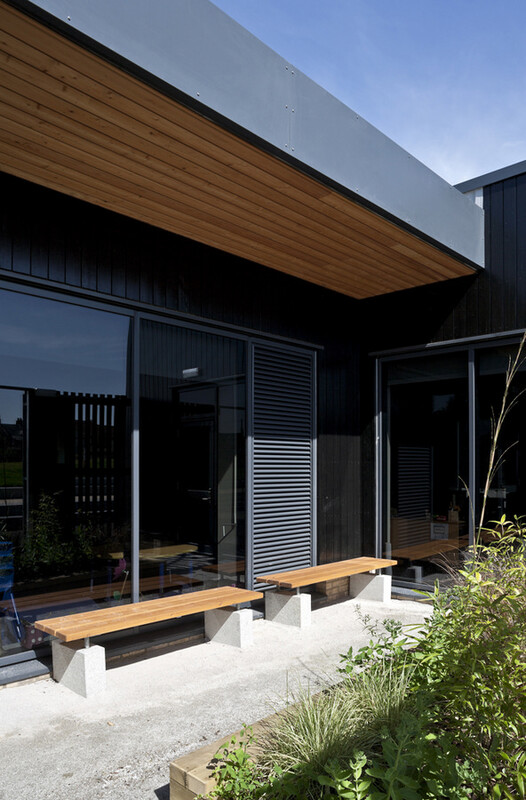 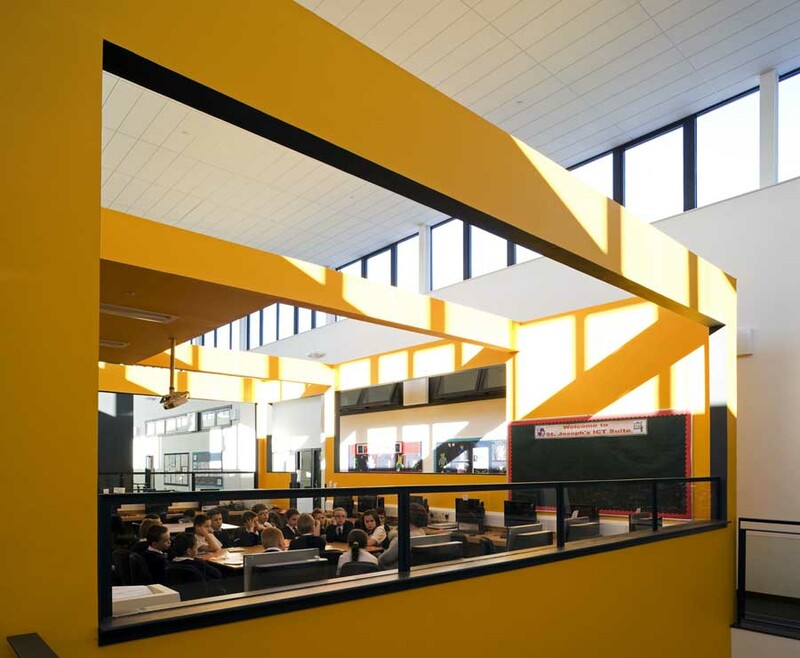 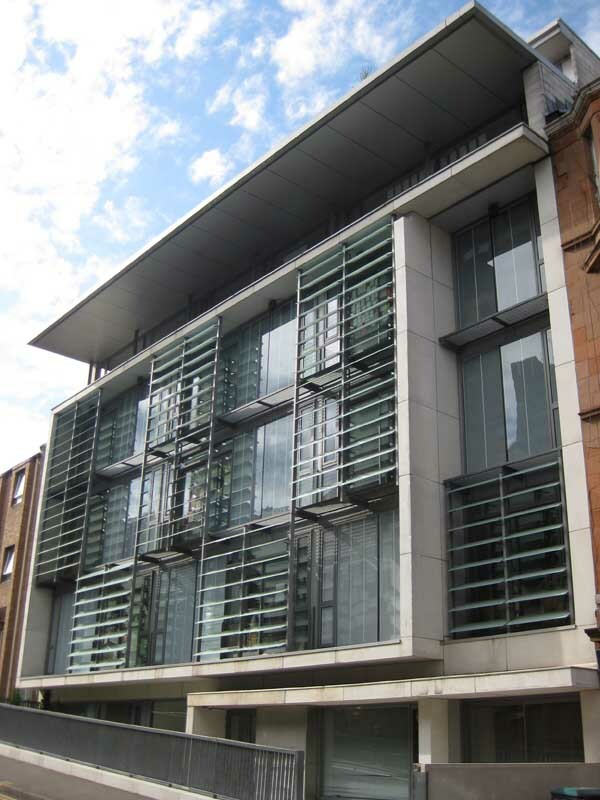 The classrooms each have direct access to the outside to encourage external teaching, and also to make use of a new terraced seating landscape feature.